Circles represent spiritual energy by acting as protection against unseen evil forces. 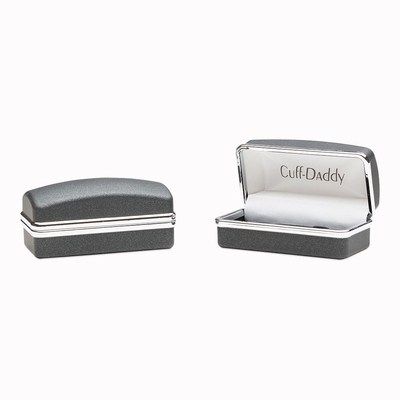 Cuff Daddy designers use the popular shape in several different cufflink designs, with Designer Round Cufflinks sitting near the top of the most popular list. These cufflinks contain tiny small red and blue enamel circles that space out evenly around the perimeter of a light blue setting. 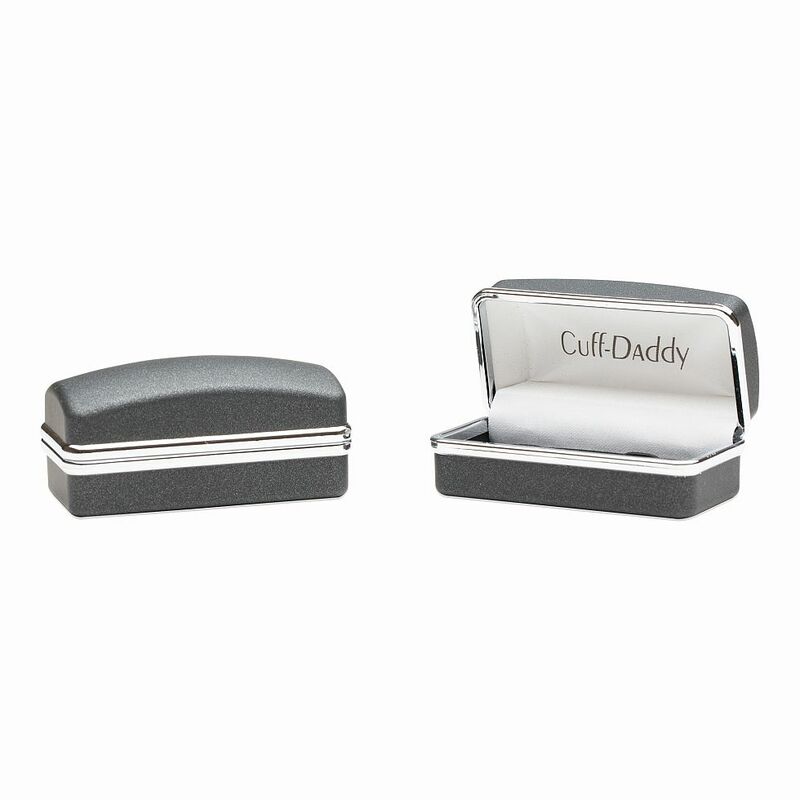 We polish the silver tone mount to present a post modern art influenced pair of fashion accessories. I like how the bright blue background makes it so the silver lined flower pops out more. 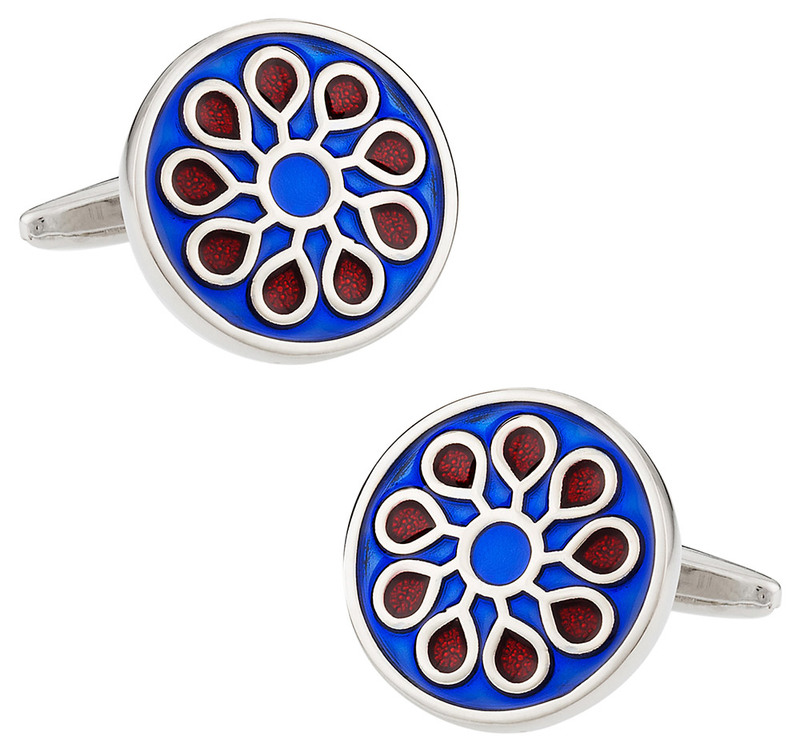 The use of the red in the flower shape provides a very nice contrast to the blue.